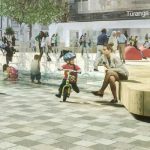 As spring kicks in, and a few more new cycleways appear, more people might be thinking about getting into cycling around Christchurch. That’s great to see (especially with Biketober just around the corner too) but for some newbies, there might be a few “rookie mistakes” that make the experience not as nice as it could be. The worst thing that could happen is that the experience puts that person off trying again. A common mistake when starting is to cycle along the same route that you previously drove to work/study. The problem is that this often involves a number of busy roads, and typically without great cycleway protection. Have a look at the city cycle map and see if there is an alternative route that takes in some nicer options (e.g. 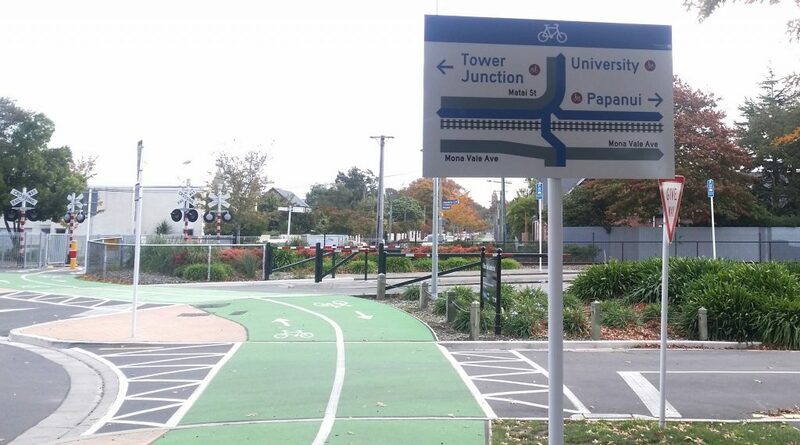 quiet streets, shared paths, separated cycleways) – or someone for route suggestions. One advantage of biking over driving is that you can make use of non-road connections not available to driving, e.g. some alleyways, greenspaces like Hagley Park, and other useful corridors like the Railway Cycleway). People who haven’t ridden much before can find that they are a bit “saddle sore” on their first few rides, and may wonder if that is an ongoing price to pay for biking. The good news is that generally it is something that you get used to over time. A different saddle, use of non-chafing cream, or padded shorts can help as well; another option is to build up your riding distance over time as your tolerance grows. A common behaviour with many new riders is hugging the kerb and parked cars. This is a natural instinct for those a little wary of passing traffic; unfortunately it actually ends up increasing the risk when swerving out around parked cars (“she came out of nowhere!”) or of getting hit by opening car doors. Far better to maintain a consistent path out in the line of view of passing motorists, and also to keep a clear distance from parked cars. Another problem for new riders is finding themselves hot and sweaty at the end of a ride. For those who use a backpack ; a sweaty back is a particularly common problem. A number of suggestions for generally dealing with cycling in the heat can be applicable here, like simply slowing down the pace a bit, or cutting down on the layers worn while biking. 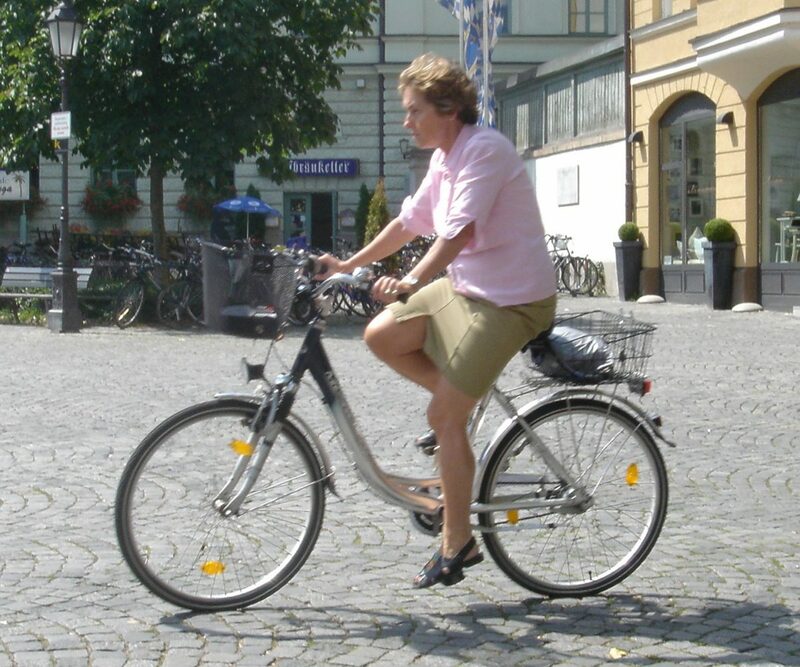 And switching to a bike-mounted carrying option (like a basket or pannier) can also help address sweaty backs. New commuters can find it harder-than-expected work biking (although an e-bike might help to minimise that). While some of that may just be needing to build up some base fitness, a common error is having the bikeseat too low. This results in a “knees about the elbows” style of riding that is simply not that efficient. Ideally, adjust the seat height so that your leg is fully extended when the pedal is at its lowest. This may mean that you have to get off your saddle when you stop; if that feels too tricky then a compromise is to adjust the seat so that you can reach the ground with your tip-toes. What other common ‘rookie mistakes’ can you think of? Google maps is really good for generating safe direct cycle routes. Just choose the bike option and ask for directions. Even if areas you think you know well, you may be surprised at the options. Unfortunately it looks like the CCC hasn’t informed Google of some of the new major cycleways. The cycling directions never suggest the Papanui Parallel cycleway, or Rapanui-Shag Rock, even when they would be more direct routes than the ones brought back. You could let Lynette Ellis at CCC know about that. I’ve found google maps to do some really stupid things. Like direct you down SH1, or through the Lyttelton Tunnel. It also manages to miss quality bike infrastructure, like every part of the cycleway from Latimer Square to Linwood, and instead directed me down Goucester Street and Linwood Ave. So while google maps is a great source of ideas, do be aware its not perfect. Strava’s crowdsourced info at https://www.strava.com/routes/new and https://www.strava.com/heatmap#12.57/172.61586/-43.51993/hot/ride can be much more relevant, because they track popularity of route. Downside, they tend to be the sporty riders who may not baulk at a main road, so there’s some level of bias there too. Understanding the new setup at the lights… my son explained them to me but I still find it a bit confusing. Learning to listen to warning sounds of vehicles approaching from the rear is important and wearing earbuds is a hazard. Listening to your bike is also a good idea. A noisy chain needs oil, a clicking chain means you are between gears which causes lots of wear, rubbing may indicate a wheel in need of truing or brakes in need of adjustment. When passing a slower cyclist or pedestrian a friendly ring of the bell is a good idea. One never knows when they may veer or wander into your path. Unless you bought a multi thousand dollar off road mountain bike, don’t jump kerbs and avoid the pot holes. Standard wheels are just not up to it. Invest in puncture resistant tyres and keep inflated to recommended pressure. If riding in wet conditions mudguards are worth the effort. I recently completed the second survey from NZ Transport on the userfriendliness of the soon to be updated bike road code. 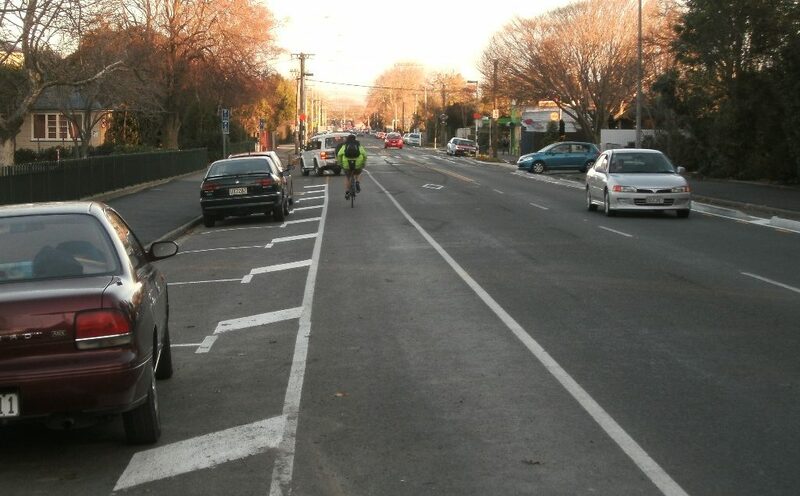 They actually write and have a picture showing that cyclists should hug the kerb and weave around parked cars. I wrote a long paragraph essentially saying how dangerous this was and suggested either that cyclist keep to a nearly straight line, essentially as if there is a bike lane (as you have written AND if the road is wide enough) or a gentle weave with the cyclist never closer than 1 m to the kerb on narrower suburban roads. The aim should be to be seen from a distance and not surprise motorists; NOT keep as far to left at all times. They are teaching the hug the kerb and weave to schools at the moment – very scary even to other cyclists. I have yet to see NZ Transports latest iteration but it would be great if some of those creating the document actually went cycling. I agree with you Joy. I watch the cyclesafe school lessons outside our house, and feel nervous to see the children hugging the kerb and then move around the parked cars. I wonder whether that is more about the natural instinct of kids to shy away from fast, noisy traffic? Hard for anyone to get out of the habit of until you realise the benefits of holding the line. Riding anywhere near Hospital Corner at this time seems to be… a bad idea. I’m a competent rider, but was unsure where to ride heading South over the footbridge and through to Tuam Street. Ended up on a footpath with no clear next-point. and then in a bus lane. It’s got to be a lot better when the connection along Oxford Tce to Hosp Cnr is reopened in Dec (although the jury is still out about the final design…). For now you are expected to continue past Tuam St and connect with the new cycleway on St Asaph St to get in and out of the park. Have a decent bell and use it when overtaking pedestrians and other cyclists. If another cyclist is way slower than you there is a good chance that they may be older and not have perfect hearing. Just because they are older and out for a relaxing ride doesn’t mean you have the right to give them a heart attack. I have a great rear view mirror on my bike, but I can’t be staring at it 100% of the time for obvious reasons. I’m just teaching my 8 year old son about not porpsing around cars. Also I’m thinking may be I should carry oil and keep it handy with a multi tool on the outside of my bag so I can help those who would like it. How about creating a means for experienced cyclist to volunteer their time to those who cycle in their neighbourhood. I’d be most happy to discuss routes and help out with bike maintenance a couple of evenings a month? I’m sure you’ll let me know that something like this already exists @lenny! I don’t believe there is a fixed method when it comes to cycling on roads regarding the distance from the kerb. There are so many variables. Like the width of the lane the cars are in and the width of space available for cyclists and parked cars. If the car lane is narrow and not going to accomodate me and a car I will go closer to the kerb when there is a gap between the parked cars to allow cars past. If there is no such gap then I will claim the lane, like on roundabouts, but again not always as some roundabouts are just too busy and fast, and no way will I put myself in front of speeding cars eager to overtake me on roundabouts as some drivers often do regardless of a lack of room. In some situations regardless of what legal right I have to be on the road and claiming the lane I will get off my bike and walk along the footpath to negotiate parked cars protruding out too far or at roundabouts etc. I guess what I am saying is that common sense also has to apply. Being on the right side of the law is no use to when your dead. Wear a bright colour on your toes of and arms – hi viz or reflective stuff is really good. Do get a properly adjusted helmet that fits you. Avoid listening to music as it stops you hearing the traffic. Watch out for sunglasses that are too dark, and jacket hoods that reduce your peripheral vision. Do not be deterred by bad weather. With proper gear you will not suffer from the cold and wet. Any day is a good day to ride.. Previous Previous post: Would you like to help during Biketober?